Stress overcomes many entrepreneurs, making their days harder and harder. Many entrepreneurs experience a high level of work at what seems to be a nonstop rate over a period of time. They feel pressured every day from everyone around them, to answer questions and resolve issues. It makes business owners anxious and nervous because they are constantly being pressed for actions and responses. In order to remain sane, it is crucial that you take care of yourself and put your health first. It’s important that you learn ways to keep the stress at bay. Here are some of the best ways to handle your stress on a daily basis. As an entrepreneur, you must find ways to leave work at work. Get out of your head so much. It is important that you do not make your whole life about your work. Find a balance between work and your personal life. Be connected to your environment. Keep your whirling thoughts at bay, be calm. There are different types of exercise you can choose to do to help yourself calm. For example, you may want to try some deep-breathing exercises. This is very easy to accomplish, and you can do it anywhere you want. Once you feel yourself getting wound up, straighten your posture and breathe in and out at a steady pace. This has a type of cleansing effect. It releases any built up energy you may be feeling. This should help a bit in no time. Chances are, you have felt stressed for the day before it has even started before. You may have felt the stress coming from the night before. The ache and twist in your stomach may have started before going to sleep for the night. Because of this, you may have woken up with an even worse feeling in your stomach. If you wake up feeling overwhelmed, that will set the tone for the day. You are bound to feel anxious all day. Waking up with a sense of admiration, and goals set for the day is a way to have a great day. Having a good attitude for the day is a crucial way to have a good day. A great way to keep your goals and admirations in check is to keep a type of journal. Write it down. Hold yourself accountable for things that you want to accomplish. Jot down what makes you happy, and do it. This journal will help you be productive throughout the day and set the perfect tasks for the day. A great way to blow off some steam as an entrepreneur is to join a gym. Sweat the stress out. 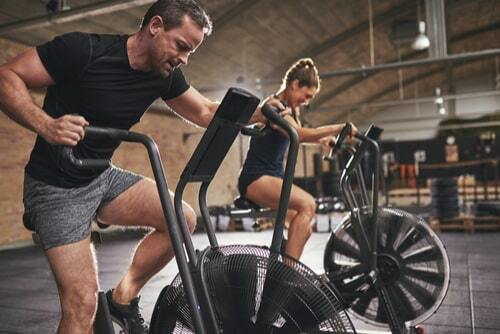 Do some intense cardio to let your nerves go. If you were to go to the gym after work a couple of days a week, this will help you leave the day you had at work. There are many different types of research that have proven that exercise helps you release any negative emotions you may be feeling. Though, if you do not want to join the gym, go outside. Walk your dog. Run around the block. Do something active that is a good outlet for some emotions. If you think you are the only one who feels this way or have ever felt this way, you are wrong. Countless entrepreneurs feel a large amount of stress and pressure on them in their daily work lives. Find someone whom you can trust that may have felt this feeling before. Surround yourself with entrepreneurs who can support you and relate to you in your time of need. Tell them how you are feeling. It will help you to know that you are not alone in this struggle. Find a mentor you want to help you, who can offer you advice and empathy for your troubles. No matter what you may think, it is not possible to work all day, every day. It is understandable that you want to see your business do well in a small amount of time, but you can not work yourself to the bone every single day. Do not push yourself to your breaking point. You have to pace yourself in the face of your business. Learn from what you are doing wrong. If you think you need a bit of a break, take one. If you don’t want to complete work at home on your personal time, then don’t. Trust your gut when considering what is burning you out. Give yourself time to spend with others and do other things you enjoy. Uncovering a hobby you thoroughly enjoy is a great way to give yourself a break. If you can engage in something hands-on, this can take your attention away from work for hours at a time. Doing a hobby gives you a reason to avoid work on your personal time. It is a chance to do something fun with no real obligations tied to it. As well as fun personal time, it will help you meet others outside of work and be a social butterfly. As well as getting to know others, you can begin to realize what you really love. Successful entrepreneurs deal with stress frequently. It may be a bit hard, but you will never be able to relax if you do not face your problems. For starters, you have to work on recognizing your main source of stress. There are many things it can be caused by. Are you procrastinating your work? Are you avoiding financial issues? Are your employees cause havoc? It doesn’t even necessarily have to just be a result of just work. Your personal life can also be affecting your work life. 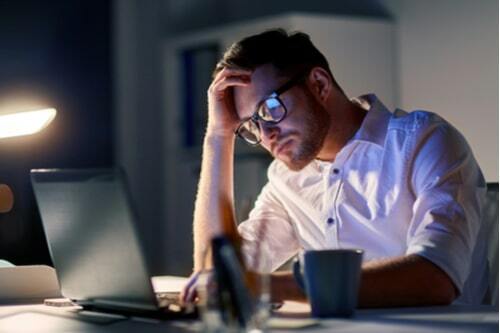 The stress from home can bring you more stress in work. There are many different places or reasons as to why your stress levels can be at an all-time high. Use these simple ways to help yourself reset and recharge. It is vital that you avoid burnout, for the sake of your business and sanity.